In the early days of the Cold War, as Chile aligned itself with America, Neruda’s Communist convictions saw him branded an enemy of the state and he was obliged to go into hiding with his wife Delia (Mercedes Morán). He is obsessively pursued by a detective, offering a beautifully performed, shadowy cat-and-mouse thriller, where the celebrated poet forever eludes those trying to pin him down. 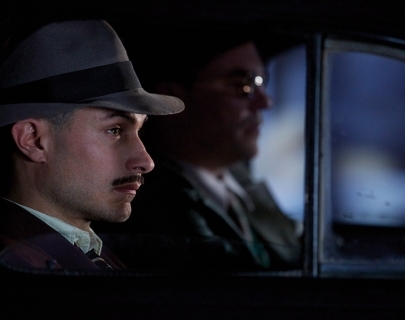 This bold, inventive thriller offers an electrifying and playful contemplation of Neruda’s life on the run in the late 1940s.